Myra Hamilton (BA (Hons 1); PhD, Sydney) is a Senior Research Fellow at the Social Policy Research Centre at the University of New South Wales (UNSW). 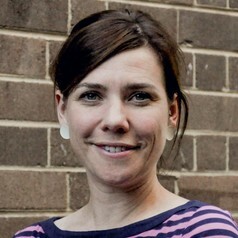 She also leads the Gender Justice research programme at the Australian Human Rights Institute at UNSW. Her research interests and subjects of publication are on the ways families organise the care of children and of family members with a disability, chronic illness, or frailty due to older age. She focuses on the effects of providing unpaid care on family members’ wellbeing, participation in paid work, education and training, and retirement incomes. The emphasis in all of her work is on the ways policies and services can and do support individuals and families to meet their care needs.